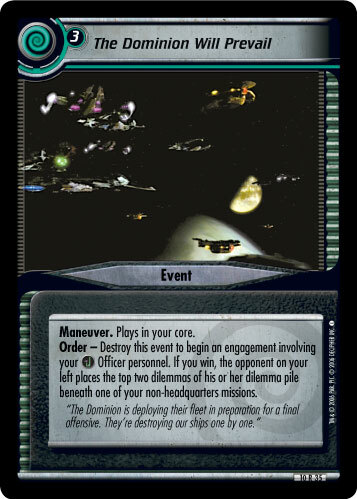 Order - Destroy this event to begin an engagement involving your Officer personnel. If you win, the opponent on your left places the top two dilemmas of his or her dilemma pile beneath one of your non-headquarters missions. 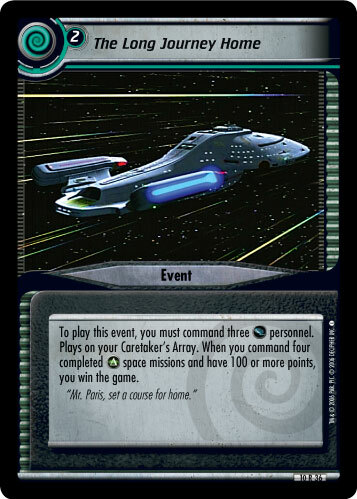 "The Dominion is deploying their fleet in preparation for a final offensive. They're destroying our ships one by one."